Safety starts here. 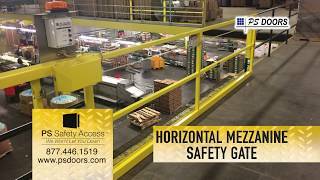 PS Safety Access™ by PS Industries Incorporated offers a complete line of mezzanine gates to keep employees safe and increase material handling efficiency. 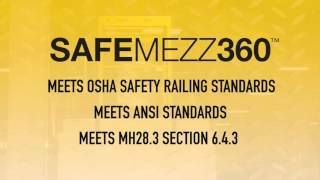 The SafeMezz360 is an ANSI and OSHA compliant safety gate designed specifically for elevated work platforms. This counterbalanced gate system ensures 360 degrees of mezzanine ledge protection for your pallet drop areas or rack picking systems. 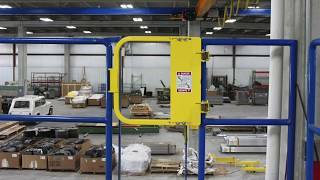 Vertical Lift and Horizontal Sliding mezzanine gates are also available to meet your facility’s needs. 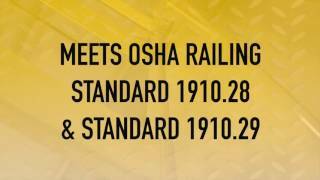 PS Safety Access™ manufactures a full line of safety and fall protection products including; Ladder Safety Gates, gates for pallet racking systems, loading docks and rooftop access safety products. Custom design and manufacturing is available. All products are made in the USA.